"Where is the coward that would not dare to fight for such a land as Scotland?" Several weeks ago, Outlander Homepage brought attention to the current plight of the tiny Scottish community, Killiecrankie, as a group of local residents protest Transport Scotland's highway expansion through a centuries old battlefield. Killiecrankie battlefield is not only the site of the first Jacobite battle of the first rebellion, but very recently, local spots were the scenes for filming season four of OUTLANDER. When the issue of expanding Scotland's A9 highway within the border of this historically inventoried battle site was first brought to our attention, I interviewed local resident, Loretta McLaughlan on the subject. Loretta helped start the grassroots movement to protect the battlefield, KilliecrAnkie1689, and knows a great deal about the area, and it's amazing history. OH: What impact does the historical value of Killiecrankie have on the local tourism, commerce? LM: Killiecrankie village only comprises a cluster of houses, a village hall, and a first-rate country house hotel. But the district of Killiecrankie encompasses a wider rural area that includes a few farms, a handful of holiday cottages, the nationally important battlefield, and a magnificent, steeply wooded, gorge, bisected by the fast-flowing River Garry. People visit here primarily because they know of the battle, an exceptionally bloody episode in Scottish history that inspired Robert Burns, William Wordsworth and Sir Walter Scott. It also has equally dramatic scenery that played a key part in the choreography of the battle. Thus the historic environment, and the natural heritage are inextricably entwined. The National Trust of Scotland (NTS), a conservation charity, operates a small visitor centre at the Pass of Killiecrankie, to champion both the natural and cultural heritage. Besides the Killiecrankie Hotel, there are only two other commercial operations in the area. One is a modest NTS shop in the visitor center, and the other is the jumping off point for Scotland’s first fixed-point bungee, called Highland Fling. There are fewer than 200 residents in Killiecrankie. The county of Perthshire is on the tourism map but there is plenty of scope for growth as it ranks about the middle or a little lower (coming well behind big names such as Edinburgh, Glasgow and Highlands & Islands) when measuring visitors by region whether on holiday, on business or visiting friends and family. However, within the county of Perthshire. 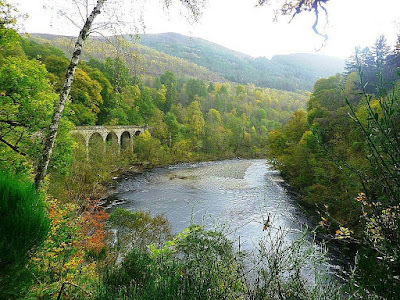 Killiecrankie is the 5th most visited site. OH: Has OUTLANDER's popularity helped increase tourism to the battlefield? LM: Visit Scotland, the national tourism agency, is aware of the potential as it develops all things Jacobite, in response to the Outlander effect on visitor numbers. It is, after all, inspiring more visitors to Scotland (particularly from the US) than any other TV show or film, surpassing Braveheart, Harry Potter and Highlander. See https://www.jacobitetrail.co.uk. According to the map called “On the Trail of Bonnie Prince Charlie and the Jacobites” Killiecrankie features, as you would expect, right at the start of the story. OH: Transport Scotland is currently conducting archaeological studies on the proposed area for A9 expansion. What has been discovered so far? LM: The studies to upgrade the road over the battlefield (from one lane in each direction to two lanes in each direction) have been done in 3 stages, starting in 2012. It was not until the final stage that geophysical studies were done in a field adjacent to the existing road. Under the current proposal, the entire field will be used to build a slip road for an exit junction, to create 2 more carriageways on the main highway and to build an access road plus a huge drainage basin for the new infrastructure. In the course of these studies, surveyors identified “pit-like anomalies”. No one knows what kind of pits these are but archaeologists say that “burial pits should not be considered unexpected in areas surrounding battlefield sites and these features could be related to the battle or its aftermath”. In other words, there is a possibility that these are graves. Nobody knows what they are. What we do know is that further investigations are required, and additional assessments are being done now. Local historian, Rulzion Rattray, estimates the number of fatalities at the Battle of Killiecrankie at 2,100. Jacobites lost possibly 600 and Williamites perhaps 1,500, making this one of the bloodiest of all Jacobite engagements. More died at Killiecrankie during the first of the Jacobite uprisings than at Culloden which concluded the rebellion. OH: So these pits could be mass graves, like those marked by clan stones at Culloden. Are there any known graves from the battle in the area? LM: The only known burial place is that of John Graham of Claverhouse, 1st Viscount Dundee, the charismatic Jacobite leader who was fatally wounded in the opening minutes of the battle and died the following day. He was buried nearby in consecrated ground at St Bride’s Kirk beside Blair Castle. His tomb can be visited today. Where thousands were buried is still not known. Military historian, Neil Ritchie, says that in battles of the period the fallen would usually be buried on the site of the battle or close to it. Historians agree that the fighting was concentrated along the existing line of the road and along its northbound shadow where the new lanes and all related infrastructure are proposed. Neil Ritchie explains that it is likely that a small number expansion large pits or several smaller ones are in the very area threatened by the proposed design and route. OH: If expansion of the A9 could potentially desecrate undiscovered burial sites, are there any government agencies , or laws, that can protect these sites? LM: Transport Scotland received 183 objections to the plans. Nearly all those objections relate to worries about the battlefield. They were submitted by key authorities such as Historic Environment Scotland (HES) who, as the name suggests, is in charge of everything historical, as well as the Perth and Kinross Heritage Trust, whose remit covers everything archaeological. Cairngorms National Park Authority, which has a duty to protect cultural assets within Scotland’s largest national park, objected too, along with armies of societies, groups, and individuals, worried about protection of history, heritage, and archaeology. Since the original road was built through the battlefield in the 1970s, Scotland has published screeds of policies, guidance notes and directives on how to protect not just our historic sites but our wider cultural environment. The most important single document for protection of the Killiecrankie battlefield is something called the Inventory of Historic Battlefields. This lists every historic and natural feature of the designated Killiecrankie site and accords them the highest level of protection possible. So much so, that when Transport Scotland came to planning a route and design through the battlefield, there should have been a paradigm shift in their thinking. There is an imperative on developers to minimize the damage to an Inventory battlefield. That means they have to explore all ways of avoiding damage and only when all options have been exhausted are they allowed to investigate the next least damaging option. They failed to do that. Instead they decided at an early stage to import thousands of tons of earthworks and dump them where the new northbound lanes have to be built, thus damaging and destroying numerous key features of the battle site. Given that this is also where the fighting was concentrated, where ‘pits’ have been discovered and where burial sites may lie, it is hard to imagine a worse design for the road and a worse route for it. OH: How can Transport Scotland disregard so much opposition? Are there loopholes that will allow them to carry out their expansion in spite of the area being an inventoried historical site? LM: The naïve bystander would think that all the planning rules concerning protection of Scotland’s most important historic assets would trump such a crude proposal. Alas, there is a breath-taking paradox here. The layers of protection would be taken into consideration if this proposal were within the planning system. But, as the Minister for Culture, Tourism and External Affairs clarified in April, this project does not fall within the planning system. This road project is of such national importance that it will be decided, ultimately, by the Scottish Ministers. They may choose to have a Public Local Inquiry which may investigate how Transport Scotland arrived at such a contentious proposal but – even if they did - the Scottish Ministers are under no obligation to accept the outcome of any such inquiry. They are in danger of accepting the plan, knowing that it is extremely damaging, in order to keep to their proclaimed completion deadline. Paradoxes abound. As Outlander fans and Visit Scotland know, history and heritage drive tourism. Transport Scotland’s proposed design and route will damage a battlefield whose importance is likely to increase with the popularity of the Jacobite trail. Transport Scotland is already considering “legacy” benefits of the road with no sense of irony that the legacy will amount to a desecration of Scotland’s heritage. So-called protection rules do not apply, consultation with the community is derisory and Transport Scotland enjoys a cosy relationship with the Scottish Ministers. The prospect of this plan being rubberstamped is real. Only one thing can stop the rumbling juggernaut and that is a huge public outcry. OH: Obviously, the local community has a personal connection to the battlefield. Do any of the local community members have a personal/ancestral tie to the history of Killiecrankie? What are some of the local folktales connected to the area? LM: The roll call is long for this battle. Among the most well known names on one side were Graham, Fraser, MacLean, MacGill, MacDonald, Cameron, MacNeil, Grant, MacGregor, Cannon and Buchan. On the other were Mackay, Lauder, Balfour Ramsay, Kenmure, Leven and Hastings. Many of these surnames belong to residents of this area. Legend has it that a Redcoat, a private soldier who was part of the Government troops, managed a spectacular escape by jumping 18 ft over the raging River Garry to a rocky outcrop and safety. The story of The Soldier’s Leap is a gift for the tourist business and is promoted vigorously by the National Trust for Scotland who manage a visitor centre at the spot of his supposed leap. The leaping soldier was Donald McBane. He was a shameless self-publicist and lived a colourful life after the Battle of Killiecrankie running a brothel and becoming a fencing master. The right flank of the Government line was anchored beside the Girnaig burn. It’s a healthy watercourse that feeds into the River Garry just before it flows into the deep gorge. The left flank of the Government line was anchored further along the flat area beside the Chluain burn which also flows into the River Garry. Even before the hand-to-hand fighting started, we know that some soldiers ran away. McBane was one of them. Some soldiers must have been chased over the Girnaig because the ground on the other side is now known as Skirmish Field, much of which will also be lost to the road project. 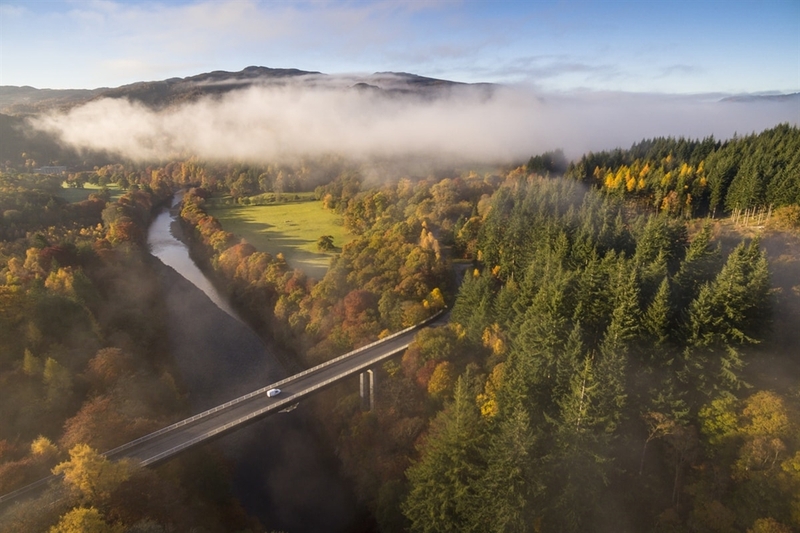 OH: Killiecrankie is highly rated for it's natural beauty, with plenty of forest trails along the River Garry that provide great outdoor enjoyment. How would the A9 road construction impact the scenic/natural value of the area? LM: The road passes high above the river and the Pass of Killiecrankie. The battlefield is just to the north of the Pass where the terrain opens out. Transport Scotland claims that the scenic impact would be the same on the battlefield no matter how the road were widened because damage was already done when the original road was built in the 1970s. This argument is facile and misleading. Firstly, attitudes and rules about our historic and cultural environment have changed enormously since the 1970s. Indeed, one of today’s rules concerns sites that have already been damaged by development. There is a requirement to take extra measures to avoid further damage in these cases. Transport Scotland has ignored the requirement. Secondly, Transport Scotland used dubious methodology to evaluate the landscape impact. The northbound carriageway is almost continuously lined by vegetation and trees, some from the Ancient Woodland Inventory, which results in birds’ nesting areas being concentrated on that side. In contrast, the southbound carriageway is virtually treeless. Nevertheless, Transport Scotland concluded that development on the northbound or southbound side would have a similar impact. Thirdly, the loss of all the natural screening on the northbound side of the road will mean that the area where the memorial cairn stands will be exposed. At the moment, the stone monument is where visitors come throughout the year to reflect quietly on the impact of battle and to see the exact area where thousands of men fought and lost their lives. There is a remembrance service which takes place at the memorial cairn in a weekend-long commemorative event every July on the anniversary of the battle. Such places are meant to retain an atmosphere of dignity. 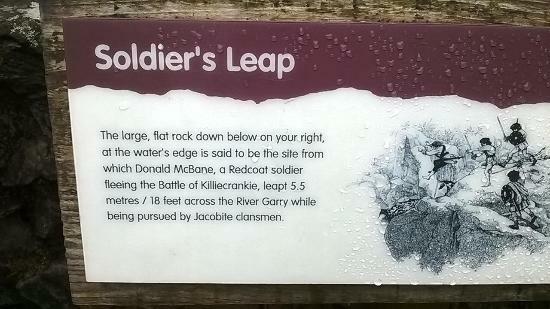 OH: What makes Killiecrankie stand out from other battlefields throughout Scotland? LM: I cannot make a comparison of Killiecrankie with any other battlefield in Scotland. What makes Killiecrankie unique is the fact that it is the only battlefield that the A9 road traverses in its 110 miles route between Perth and Inverness. Given the numbers killed in such a short, savage burst of fighting, the site demands to be treated sensitively and sensibly. In historical terms, it holds the record for many firsts: it was the first battle of the first Jacobite uprising in Scotland, of the Glorious Revolution; it is the first recorded use of the plug bayonet in battle in Britain; and it is thought to be the first time that the hand grenade was used in combat in Britain. The scale of the brutality at Killiecrankie inspired Burns, Wordsworth and Scott whose literary works, in turn, seared the battle into the popular imagination. The association of the battle site with the exploits of an “ordinary” soldier whose unlikely leap over an 18 ft void is still celebrated throughout Scotland. It is also unique in that the Jacobites’ charismatic leader, “Bonnie Dundee” was killed, granting him near mythic status in the Jacobite legend. Without him the rebellion lost impetus and failed. Had he survived there may have been a different outcome: one of the classic ‘what ifs’ of the historical narrative. 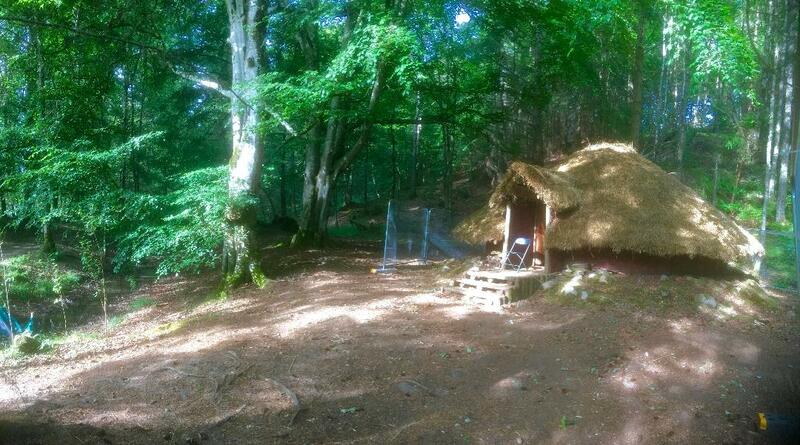 The battlefield at Killiecrankie happens to be one of the best preserved of its era. The choreography of the battle can be understood today by the undisturbed terrain, landscape and historical features. Its exciting archaeological potential will be obliterated by Transport Scotland’s proposed design and route. We cannot allow the mistakes that were made in the 1970s to be compounded. Places of historic interest: Blair Castle, the fortress that controlled strategic routes, in Blair Atholl about 3 miles from the battlefield. The castle was the reason why the battle took place in Killiecrankie. St Bride’s Kirk, beside Blair Castle (which controlled strategic routes, thus the reason for the battle), where John Graham of Claverhouse, 1st Viscount Dundee, is buried. Dunkeld, 16 miles south of Killiecrankie, where the first Jacobite uprising ended, less than 4 weeks after the Battle of Killiecrankie. OH: If Outlander fans want to visit the area, and see the battlefield, what time of year would you best recommend? LM: Best time to visit: May (for dry weather, wild flowers and return of migrating birds), July (for celebration of anniversary of the battle with re-enactors staging various scenes, tours of the battlefield and a commemorative service) and October (for magnificent autumn colours in the area, renowned for its arboreal splendour). I visited Killiecrankie last summer and was extremely impressed with the visitors center there. You could talk to any of the personnel and they all were passionate with their explanations and historic references. So it was with a sense of loss that I discovered that the A9 was going to run over the battlefield a place which should be treated with dignity and reverence. I was actually angry. First Culloden and then KillieCrankie? There were plenty of places where the traffic was notably in need of reorganization (Perth comes to mind) but we were the only ones on the road it seemed. That is if you don't count the lumber trucks. Maybe that's what this is all about? Scotland sells itself on its unique history, please find another way to preserve this area. You've already defiled Culloden.